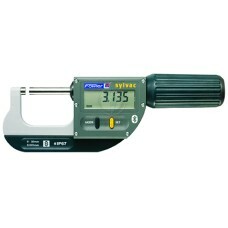 Sylvac micrometers feature Swiss-Made quality and technology. 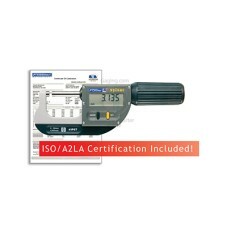 You will not find a higher quality micrometer than Sylvac brand micrometers. The NEW 54-815-110-0 Fowler/Sylvac Bluetooth Rapid Mic, Premium Electronic Micrometer 2.6 - 4"/66 - .. 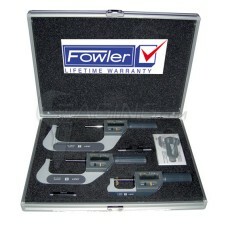 The NEW 54-815-130-0 Fowler/Sylvac Bluetooth Rapid Mic, Premium Electronic Micrometer 0-1.2", 0-30mm.. 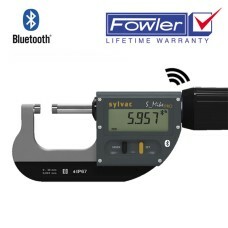 The NEW 54-815-160-0 Fowler/Sylvac Bluetooth Rapid Mic, Premium Electronic Micrometer 1.18 - 2.6"/30.. The 54-815-030-0 features IP67 Protection! Swiss Made, Ultra High Quality, Lifetime warranty! Sp.. 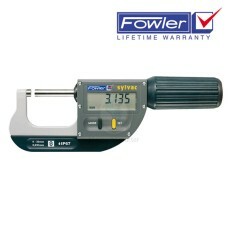 The 54-815-030-C Fowler/Sylvac Rapid Mic, Premium Electronic Micrometer 0-1.2"/0-30mm with ISO/A2LA .. The 54-815-060-0 features IP67 Protection! Swiss Made, Ultra High Quality, Lifetime warranty! Sp.. The 54-815-100-0 features IP67 Protection! Swiss Made, Ultra High Quality, Lifetime warranty! Sp.. The 54-815-111-0 features IP67 Protection! Swiss Made, Ultra High Quality, Lifetime warranty! Sp.. The 54-815-112-0 features BLUETOOTH! Swiss Made, Ultra High Quality, Lifetime warranty! Spe..